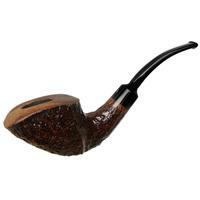 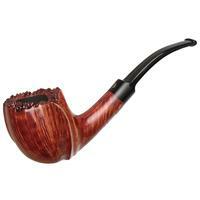 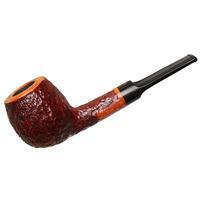 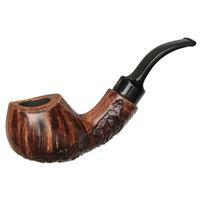 A lifting, slightly asymmetrical bent Egg, this Winslow piece presents some extra-organic style in its striated rustication along the aft and heel of the bowl and craggy, plateau-adorned rim. 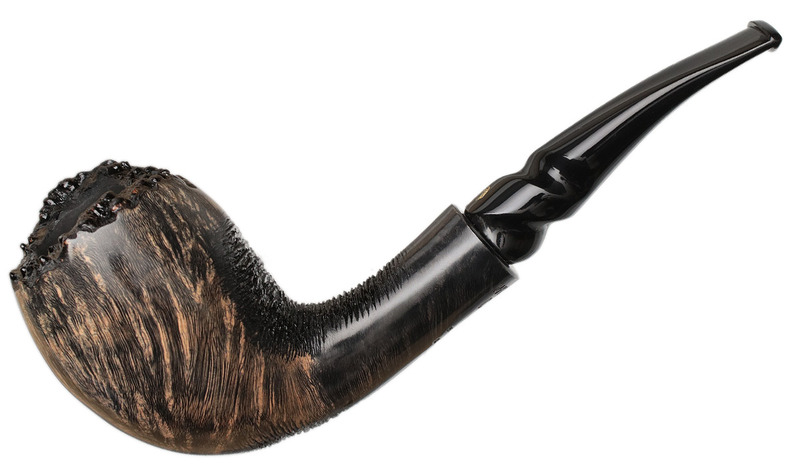 With a sweeping turn to its shank and a rippling lower stem, it's neat work that shows off some of Poul's renowned skill. 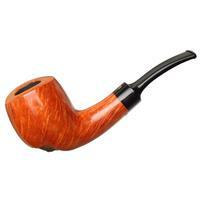 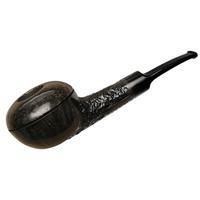 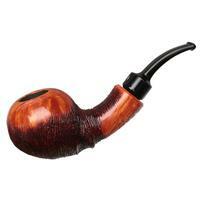 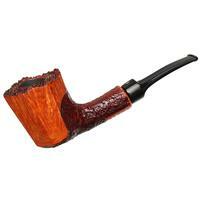 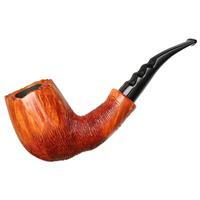 Bowl Height: 2.60 in./66.04 mm.